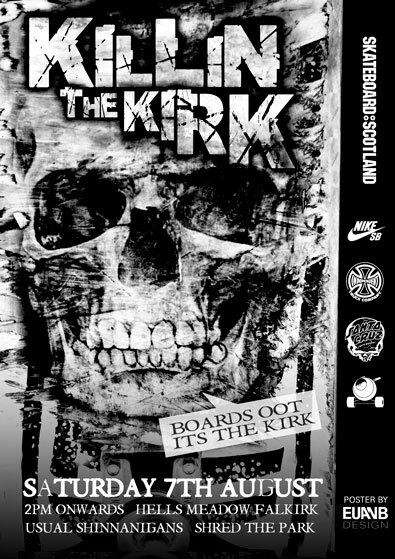 Boards oot, it’s the Kirk. The annual Killin the Kirk is being held on the 7th of August from 2pm onwards. Usual rules apply, get down there and shred.